President Donald Trump wanted to have Syrian President Bashar al-Assad assassinated last year but his defense secretary ignored the request, according to a new book that depicts top Trump aides sometimes disregarding presidential orders to limit what they saw as damaging and dangerous behavior. Excerpts from the book, "Fear: Trump in the White House," written by famed Watergate reporter Bob Woodward, were published by the Washington Post on Tuesday. The book, which is scheduled for release on Sept. 11, is the latest to detail tensions within the White House under Trump's 20-month-old presidency. "It's just another bad book," Trump told the Daily Caller. The book portrays Trump as prone to profane outbursts and impulsive decision-making, painting a picture of chaos that Woodward says amounts to an "administrative coup d’etat" and a "nervous breakdown" of the executive branch. Mattis told Trump he would "get right on it," but instead developed a plan for a limited air strike that did not threaten Assad personally. White House spokeswoman Sarah Sanders said the book is "nothing more than fabricated stories, many by former disgruntled employees, told to make the president look bad." Nikki Haley, the U.S. ambassador to the United Nations, also cast doubt on the account about Assad. 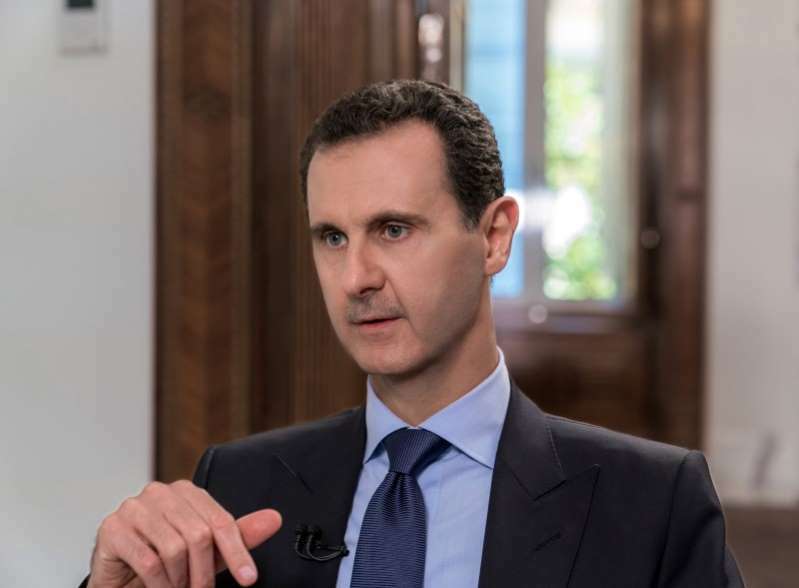 "I have the pleasure of being privy to those conversations ... and I have not once heard the president talk about assassinating Assad," Haley told reporters on Tuesday. Woodward gained national fame for his reporting on the Watergate scandal in the 1970s, and has since written a series of books that provide behind-the-scenes glimpses of presidential administrations and other Washington institutions. For this book, Woodward spoke to top aides and other insiders with the understanding that he would not reveal how he got his information, the Post said. Trump said that did not take place. "It's just made up," he told the Daily Caller. Other aides insulted Trump behind his back. Chief of Staff John Kelly called Trump an "idiot," and said, "We're in Crazytown. ... This is the worst job I've ever had." Kelly, in remarks released by the White House, said he never called the president an idiot and called the story "total BS." Trump has grown paranoid and anxious over an ongoing federal inquiry into whether his campaign colluded with Russia in Moscow's alleged interference in the 2016 presidential election, prompting aides to compare Trump to former President Richard Nixon during the Watergate scandal, Woodward reported. Trump's former lawyer John Dowd conducted a mock interview with Trump to convince him that he would commit perjury if he agreed to talk to Special Counsel Robert Mueller, who is leading the Russia investigation, the book says.